On a day when the CBC announced, for the second time, that they wanted to sell all their properties across Canada in an effort to redirect funds into programming and the digital platforms of the future, young Justin Trudeau was promising to increase annual funding to the corporation by $150-million. But can we really expect the Liberals to deliver? 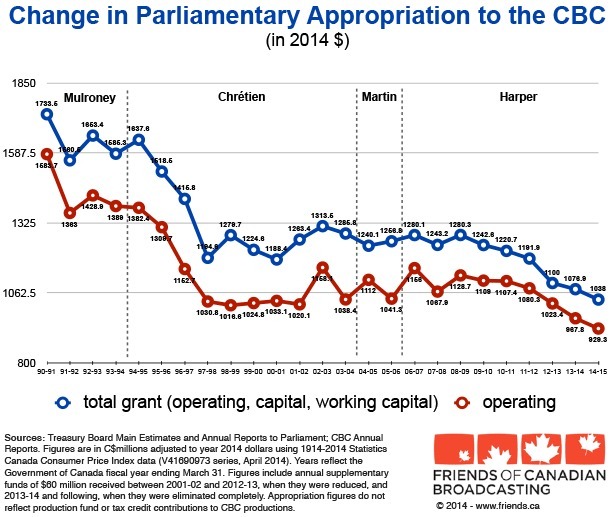 During the mid-1990s, under Liberal Prime Minister Jean Chrétien, funding to our public broadcaster, over a brief four year period, was cut by more than $400-million, or about 33 percent. All that despite the wonderful Red Book promise "A Liberal government will be committed to stable, multiyear financing for national cultural institutions such as the Canada Council and the CBC." The cuts continued. 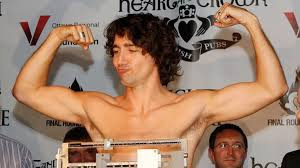 albeit more slowly under the next Liberal Prime Minister Paul Martin, and of course with slightly more gusto under the Conservative government of Stephen Harper. 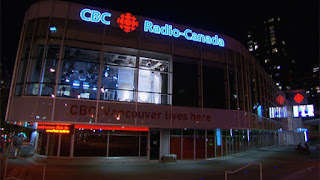 Ian Morrison, of Friends of Canadian Broadcasting, said the broadcaster’s decision to sell real estate assets was akin to "burning the furniture to heat the home." Maybe it's some sort of scorched earth policy? Selling its buildings is an idiotic thing for the CBC to do. It could well be the beginning of the end for what was once a great public broadcaster and part of the very fabric of life in Canada. 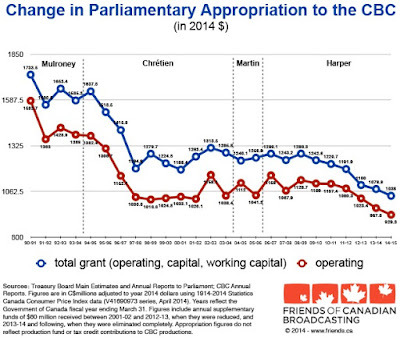 Given past history, trusting the Liberal leader's promise to increase funding to the CBC is idiotic too.